The AR Chest Rig GRID is our newest chest rig in our chest rig line. The chest rig is made with 1000D cordura and laser cut GRID. 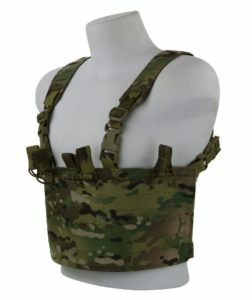 The AR Chest Rig is available in 3 mag, 4 mag , 5 mag and 6 mag version. A full pocket runs the length of the rig for additional storage. 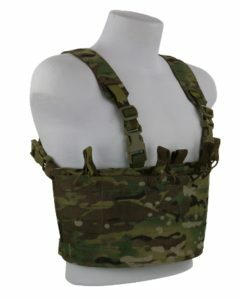 The AR Chest rig can be purchased in two configurations: The standard or pull-forward. The pull forward configuration allows you to adjust the rig on the fly. The pull forward design is by far the most popular. 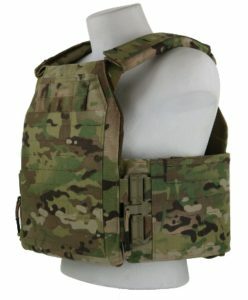 All of our chest rig come with a standard h-harness. 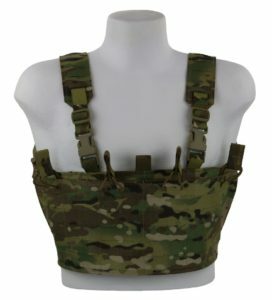 On all chest rigs with GRID there is GRID on the harness shoulder area for routing and connection points. 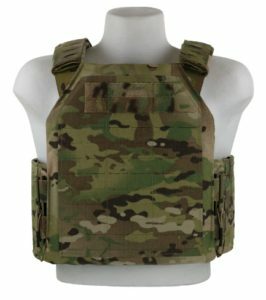 The AR chest rig GRID is currently available in Multicam, Coyote and Black. 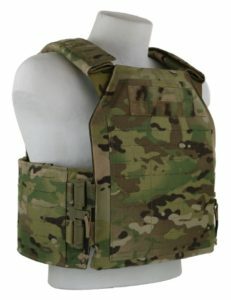 The most advanced Plate Carrier with laser cut Grid and Tubes on the market. Built with 500D cordura, GRID and Tubes. The inside has 3D mesh for additional air flow and comfort. 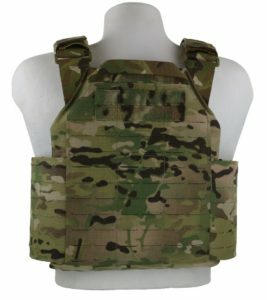 The American Sentry Plate Carrier GRID is currently available in Multicam, Coyote and Black.